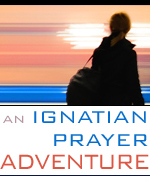 For Lent this year, I’ll be blogging along with IgnatianSpirituality.com’s “An Ignatian Prayer Adventure,” an adapted, 8-week, online version of the Spiritual Exercises. The second post, Praying Our Stories, can be read here. The first post, Freedom from Fear, can be read here.